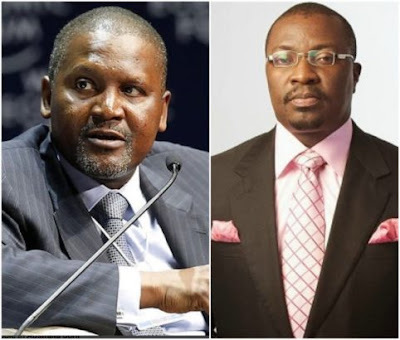 Just after the conclusion of his daughter, Fatima Dangote’s wedding to Jamil Abubakar, Africa’s richest man, Aliko Dangote has reportedly given ace Nigerian comedian, Ali Baba N25million to distribute to Nigerians interested in business. Aliko Dangote has always been on the philanthropic path. In November 2017, he made good his promise to donate N500 million to rehabilitate traders affected by the Kano Market fire disasters. Aliko’s donation, which came through the Aliko Dangote Foundation, was in response to the appeal by the Kano State government for contributions from public-spirited individuals and corporate organisations to help the fire victims revive their business. In June 2017, the Billionaire donated money and equipment worth over N50m to victims of the March 8 clash, between Hausa and Yoruba persons in Ile-Ife. The Managing Director of Dangote Foundation, Mrs. Suera Yusuf, who represented the billionaire said this during the presentation of cheques to the victims at the palace of the Ooni of Ife, Oba Adeyeye Ogunwusi in Ile-Ife. The beneficiaries were drawn from Hausa and Yoruba communities, who suffered losses during the clash.